We are one-step ahead of our competitors in offering a wide range of Water Bath Circulators. These are precisely engineered using best available technologies and following international industrial standards. Owing to its precise design and compact construction, these Water Bath Circulators are extensive. With our vast industry experience and competent workforce, we offer a broad array of Laboratory Water Bath. Our offered water bath is accessible in different stipulations as per the needs of the patrons. Offered water bath is developed at our premises utilizing quality tested material, in conformity with set industrial norms. This water bath is tested from our end on numerous parameters so as to dispatch a defect free range. 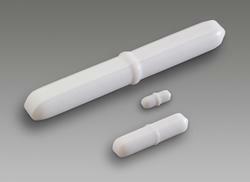 We offer a wide range of PTFE Magnetic Bars and Teflon Products. Circulating water baths (also called stirrers ) are ideal for applications when temperature uniformity and consistency are critical, such as enzymatic and serologic experiments. Water is thoroughly circulated throughout the bath resulting in a more uniform temperature.